Top 10 fashion colleges in India are listed below. This list is based on India Today ranking for the best colleges in India. 4 Branches of NIFT is included in the top 10 list. Visit college website and learn more about the courses provided by these fashion colleges, Course duration, and Tuition fees. 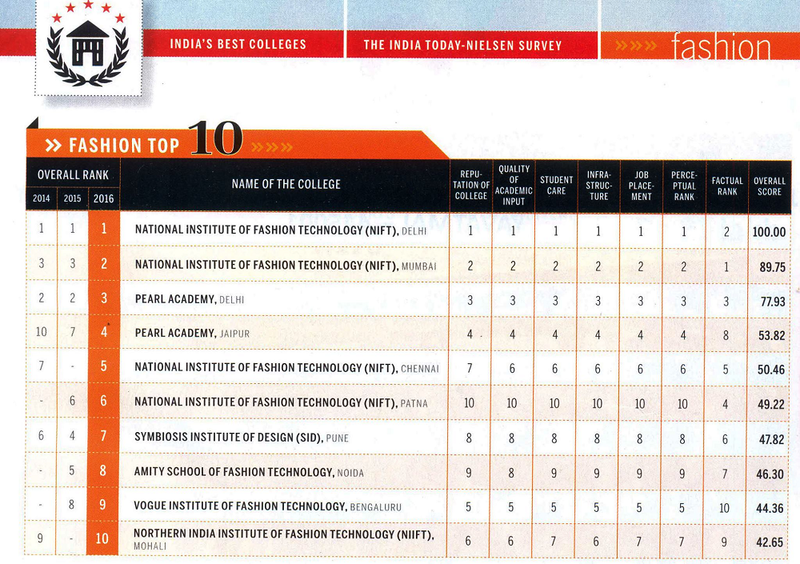 Also, see the overall rank of these colleges in previous years 2014 and 2015 published by India Today. Best fashion and design colleges in India. Best college ranking 2016 by India Today.